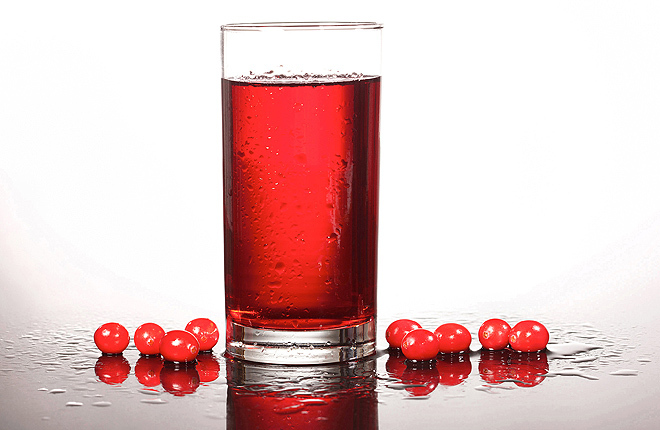 USDA ARS Online Magazine Can Cranberry Juice Boost Heart Health? Can Cranberry Juice Boost Heart Health? Drinking two glasses of cranberry juice a day may lead to significant heart health benefits, according to a study led by Janet Novotny, an Agricultural Research Service (ARS) physiologist at the Beltsville [Maryland] Human Nutrition Research Center. Novotny gave 56 people either low-calorie cranberry juice or a similar-tasting placebo twice a day, and after 8 weeks, she found that the juice lowered several risk factors for cardiovascular disease (CVD), diabetes, and stroke. The 30 women and 26 men were given the 8-ounce servings at breakfast and dinner in a double-blind study in which they ate only foods provided as part of the study. Diet amounts were tailored so that no one gained or lost weight. Weekday breakfasts, dinners, and juice consumption were all supervised at the center, and lunches were packed for eating at home. Weekend meals were also packed for eating at home, and volunteers were required to return empty juice containers every Monday to encourage compliance. The cranberry juice was sweetened with sucralose and had the same juice content (27 percent) and nutrients as most sugar-sweetened cranberry juice available in stores. The placebo was a flavor-matched, calorie-matched, artificially colored beverage. The research was funded by Ocean Spray Cranberries Inc., and the company provided the juice, but it was not involved in conducting the study, the analysis, or interpretation of the results. At the end of the 8-week feeding regimen, researchers measured levels of 22 indicators of “cardiometabolic risk” in the volunteers’ blood. Cardiometabolic risk is the combined risk of cardiovascular disease (CVD), diabetes, and stroke, which together are leading causes of death in the developed world. CVD alone causes 930,000 deaths in the United States each year. Risks of developing CVD, diabetes, and stroke can all be modified with diet and exercise. The results showed that volunteers given the juice had lower levels of 5 of 22 risk factors compared to volunteers on the placebo. “Finding differences in 5 of 22 factors is a notable result,” Novotny says. The effects included lower levels of triglycerides (8 percent), C-reactive protein (44 percent), diastolic blood pressure (3 percent), glucose (2 percent), and a health indicator known as “homeostasis model assessment of insulin resistance,” or HOMA-IR (3 percent). Triglycerides are type of fat in the blood, and high levels increase the risk of heart disease. Higher levels of C-reactive protein may be associated with increased risk of CVD. High blood pressure can lead to stroke and high glucose. HOMA-IR levels increase the risk of diabetes. Previous studies have shown that cranberries are rich in the types of polyphenols (a group of chemicals found in plants) associated with a reduced risk of heart disease, diabetes, and stroke. But Novotny’s study is the first to show that cranberry juice confers such health benefits in a controlled-diet, double-blind, clinical trial, which is considered the gold standard in health and medical research.—By Dennis O’Brien, ARS Office of Communications. “Can Cranberry Juice Boost Heart Health?” was published in the May 2016 issue of AgResearch Magazine. Drinking cranberry juice may benefit heart health. Volunteers given cranberry juice had lower levels of several heart-related risk factors. This clinical trial showed cranberry juice’s heart-related health benefits.